After speaking with a prospective client, we ensure our advertiser & publisher are in lockstep on the go forward strategy. As long as both teams feel confident about the mutual success of the campaign, we will issue/sign the necessary paperwork to get started. In parallel, we collect all necessary creative assets from the advertiser and have them place a pixel on the “thank you” page or on the page that defines a payable event. We upload, optimize creative and in certain instances develop our own (always seeking advertiser approval). We test to make sure the pixel is firing properly. We do both internal & external kick off calls to introduce the relevant parties, set the distribution strategy and make sure everyone is aligned to ensure a successful launch. We always ask the client what type of traffic they prefer and will cater the media plan to their needs. We have a great deal of experience working with a wealth of publishers across multiple media types and advertisers spanning a plethora of verticals so we can overlay our knowledge to build a winning campaign. It’s often important to marry the marketer’s CRM preference with media type. Say we’re working with a retailer that communicates with customers primarily via email, we often find traffic driven to their site via email will yield the most responsive consumers. An advertiser should certainly not allow affiliates to bid on their trademarked terms. They should own that and should not have to payout a commission on those terms. In addition, it can often make sense to go exclusive with an affiliate network. This, amongst many things, allows the affiliate network to feel comfortable to name their media sources reducing overlap between their and the advertiser’s efforts. 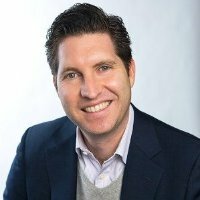 Daryl Colwell is Senior Vice President of Sales for Fluent, LLC, the industry leader in people-based digital marketing and customer acquisition. An industry veteran with over 15 years of experience, Colwell previously served as Senior Vice President of Sales and Business Development at Matomy Media Group. Before Matomy, he held senior management and sales roles at Relevance-X, the online behavioral and life-stage targeting division of Acxiom, and digital advertising agency SilverCarrot.